This smart security application focuses on preventing a malware infection by applying smart and intelligent rules that block bad processes behaviors. 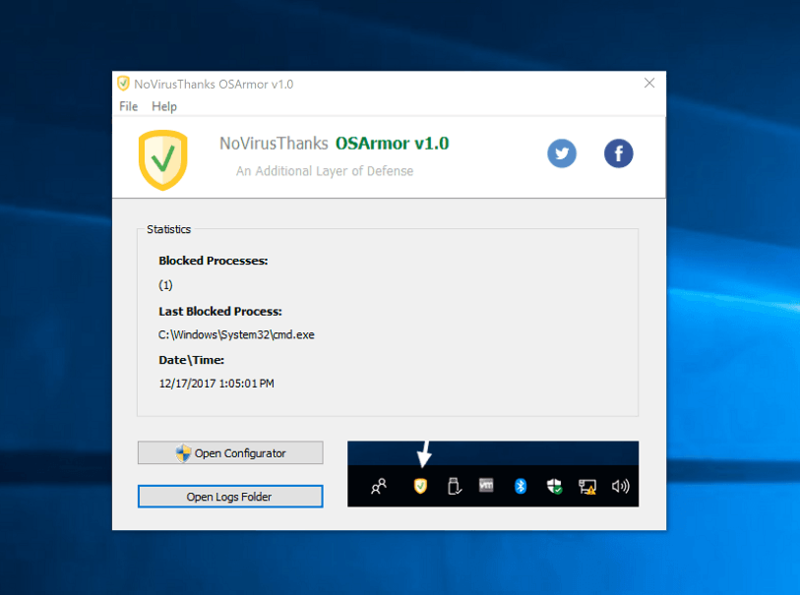 This tool can block threats not detected by your installed security solution. Add to your system an additional layer of defense to prevent infections by malware and ransomware! You don't have to configure anything, just install it and forget about it. We have already added more than 60 smart policies to improve your system security with this security application. Analyze parent processes and child processes blocking exploit payloads. 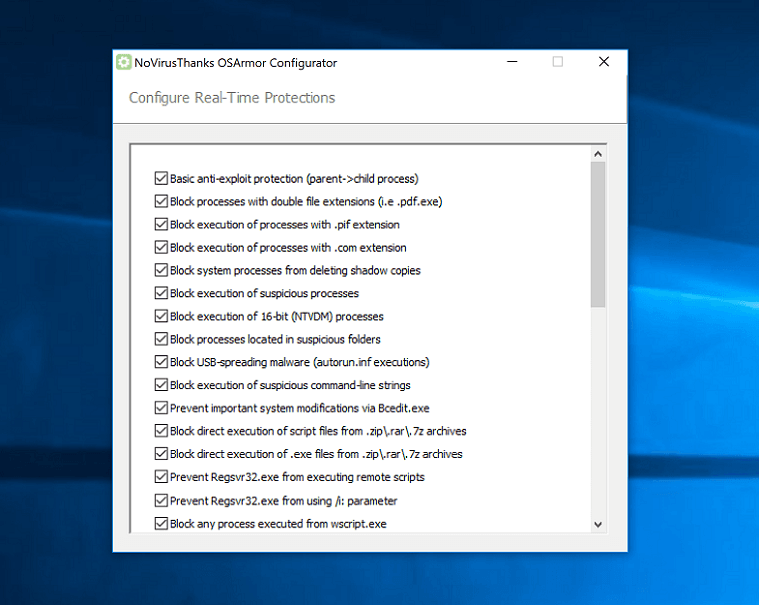 Prevent WINWORD.EXE or EXCEL.EXE from executing malicious processes. Monitor Adobe PDF Reader, MS Office, OpenOffice, Web Browsers, etc. Prevent execution of processes started via autorun.inf from USB devices. Block processes with command-line strings commonly related to malware. Block system processes (vssadmin.exe, etc) from deleting shadow copies of files. Block specific command-lines related to download of remote files. Block execution of processes with.COM or.PIF obsolete file extensions. Block wscript.exe, mshta.exe, etc if they match our rules of bad behaviors. Prevent Bitsadmin.exe from downloading (/download) remote files. Block execution of encoded or malformed commands via PowerShell. You can exclude specifc processes or events from being blocked. You can write your own custom block rules to block specific processes. Prevent calling of Application.Excel RegisterXLL() via command-line. Prevent Regsvr32.exe or Mshta.exe from loading remote scripts.